The practice of shaping the irradiance profile of laser beams goes back more than three decades, and the applications of beam shaping are as diverse as they are numerous. However, until Dickey and Holswade's groundbreaking and highly popular Laser Beam Shaping: Theory and Techniques was published, there was no single, detailed treatment available on the underlying theory and basic techniques of beam shaping. Building on the foundations of this previous work, these esteemed editors have teamed with recognized expert David L. Shealy to produce the first in-depth account of beam shaping applications and design. Laser Beam Shaping Applications details the important features of beam shaping and exposes the subtleties of the theory and techniques that are best demonstrated through proven applications. 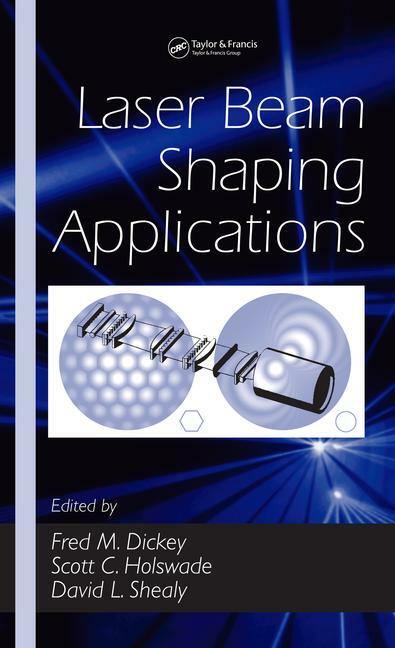 In chapters contributed by prominent, active leaders in their respective specialties, the book discusses applications in lithography, laser printing, optical data storage, stable isotope separation, adaptive mirrors, and spatially dispersive lasers. The contributors share major insights, knowledge, and experience, reveal the advantages of the technologies, and include extensive references to the literature. The book concludes with a summary of beam shaping theory and techniques as well as the history of the field. Providing practical expertise, Laser Beam Shaping Applications is an extremely helpful guide to improving current laser processes, optimizing application-specific technologies, and advancing future development in the field.